The Stessa Weekly Newsletter is hand-curated every week to bring you insightful accounts of new features, investing tips, business insights, and market trends from the real estate ecosystem. This week, we cover the softening of multifamily construction in the U.S., why the oversupply of parking spaces matters to developers, and how #PropTech solutions are slowly raising the attention of regulators. If you’re incurring expenses like mileage and property inspections in pursuit of new acquisitions, it’s now easy to track them using Stessa’s new portfolio-level expenses feature. Visit your Transactions page to give it a try! 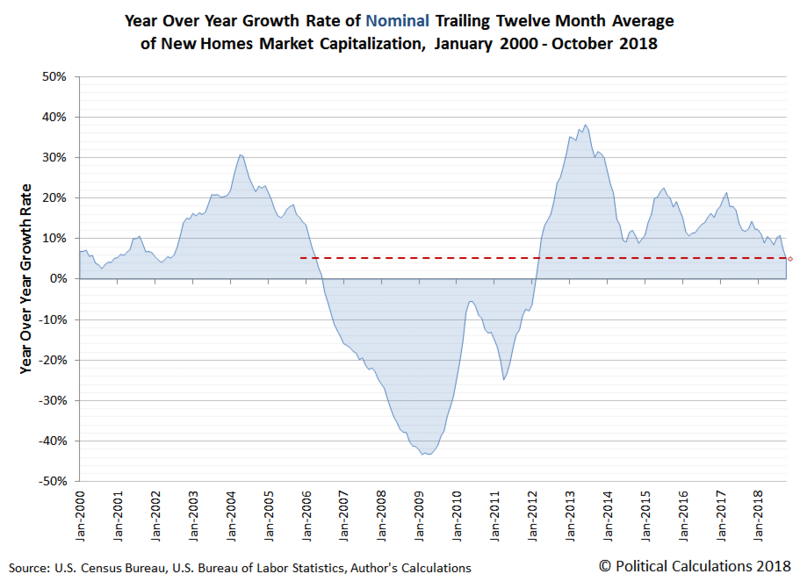 There has been a lot of commentary in real estate publications following the late-November release of the Census Bureau’s residential construction report. 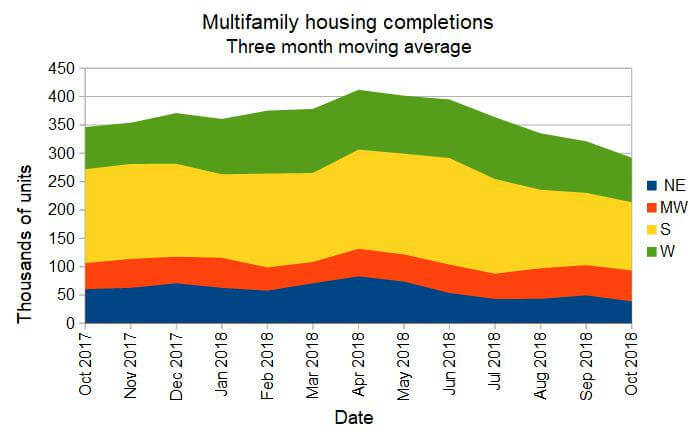 Michael Rudy from Multihousing Pro reports that the latest data shows permits for buildings with 5 or more units are weak, citing a drop of 17.2 percent compared to October 2017. On a year-over-year basis, permits for housing with multiple (two or more) units are down by 11 percent. Further, Rudy reports that construction starts for multifamily buildings were up 6 percent from September, but are down 4.5 percent from their 2017 levels. Completions are also down 10 percent from September’s levels. This chart shows completion by region for the last 12 months. Permits were up 4.3 percent in the Midwest, flat in the South and down in the Northeast and the West. As with anything real estate, the more important question is, what does this mean for my local market? Come the busy holiday shopping season, there’s nothing more exhilarating agitating than driving around packed parking lots looking for that last empty space. Bliss reports that for retail, this excess comes at a high premium with a single spot requiring tens of thousands of dollars to be built. For real estate investors, this points to the issue of residential parking. Joshua Sabatini of the San Francisco Examiner reported last week that San Francisco is soon to become the first major city in the country to no longer require developers to have minimum parking requirements in their developments. As urban areas become more dense and alternative transportation methods are being pioneered — ride-sharing, bike-sharing, innovative public transportation — look for more of these types of initiatives. This has massive implications for proptech platforms, with AI and algorithms now being able to fulfill real estate supply chain roles that were once the domain of humans. Indeed, The Economist reports that non-bank mortgage originators, which exist outside the bank-regulatory framework, now account for 44% of mortgage lending by the top 25 originators, up from 9% in 2009. This shift is the result of changing customer expectations, and a new bias for entirely digital solutions and smartphone app access to lending products. Leading VCs concur. Nick Bastone of Business Insider reports that at Andreessen Horowitz’s annual Innovation Summit, a16z General Partner Alex Rampell spoke about “the broken process of buying a home today — mainly, the fixed 6% real estate agent fee.” Rampell outlines several innovative startups including Opendoor, Point and Divvy that are transforming the industry in different ways, explaining that “the industry is evolving to help lower the friction and bring more transparency to the process for home buyers.” As these solutions evolve rapidly for consumers, real estate investors can expect to add these new digital tools to their investing tool belt as well. Set up a property in 5 minutes. Stessa helps both novice and sophisticated investors make informed decisions about their property portfolio. © 2019 Stessa, Inc. All rights reserved.